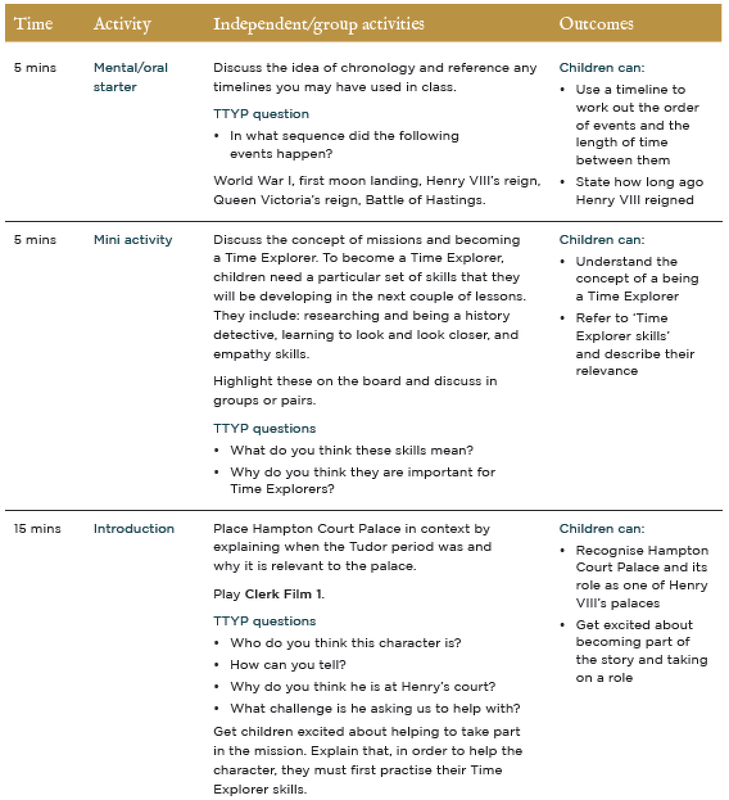 The Time Explorer Digital Missions of the Hampton Court Palace in London is a great example of how a museum can stage and help teachers co-create a memorable learning experience. The gamified experience links to England’s national learning curriculum and it is targeted to pupils (aged 7-11) and their teachers. An extraordinary design feature about the Digital Missions is the way it covers all the stages of the experience (before-during-after). From all examples analysed on this blog so far, the Time Explorer experience is the best one that tries to holistically manage all stages of the experience. Another great design achievement of this example is the way in which it helps and empowers teachers become experience co-creators by providing them with a detailed toolkit of how to become a game master. Teachers select one of the three digital missions offered, we have chosen “The Clerk’s Fantastic Feast”. Each mission comes with a Teacher’s Toolkit where all classroom activities are explained. The teacher uses the Toolkit as a guide for co-creating the experience for the pupils. In the Toolkit there are two classroom challenges that can be made before the visit (each lasting approx. 60 min.). 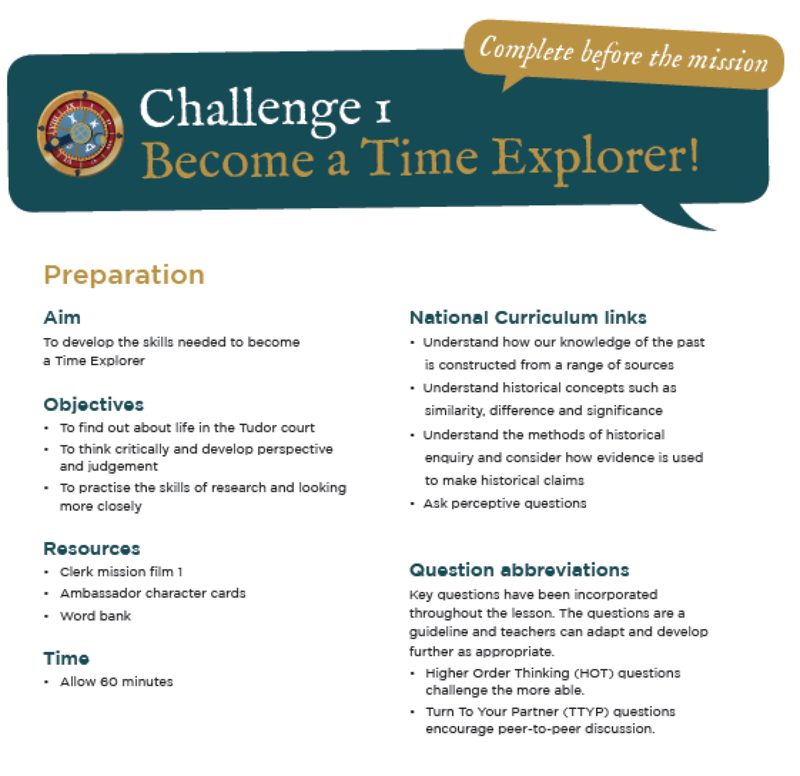 The first challenge, that has to be done before the visit, aims to develop the pupils skills to become a time explorer, creates excitement and briefs everyone on their mission. What I like about the Toolkit is that it acts for the teacher as some sort of a Game Master guideline. The guideline helps teachers learn about how to use a lot of mini-games and fun activities to make pupils excited and curious about the mission. This enables them to facilitate a memorable learning experience without their pupils realising it. In the second challenge the pupils get detailed information about what they have to do on their mission. Also here they will have to find out more information about the real life of the characters that lived at the Court. Once at location the teachers assisted by the museum staff start the experience. The children are grouped in teams and can finish their missions with the help of a tablet. Following the visit the pupils assisted by the teacher can complete two more missions (each lasting approx. 60 min). The first congratulates everyone for completing their mission, gives pupils a fun fact about a new recipe, a cockentrice (yes, to my amazement as well I found that this exists), and aims to review all the evidence found at the Court Palace. The last mission gives pupils a follow up activity where they have to create a recipe for a Tudor’s feast. 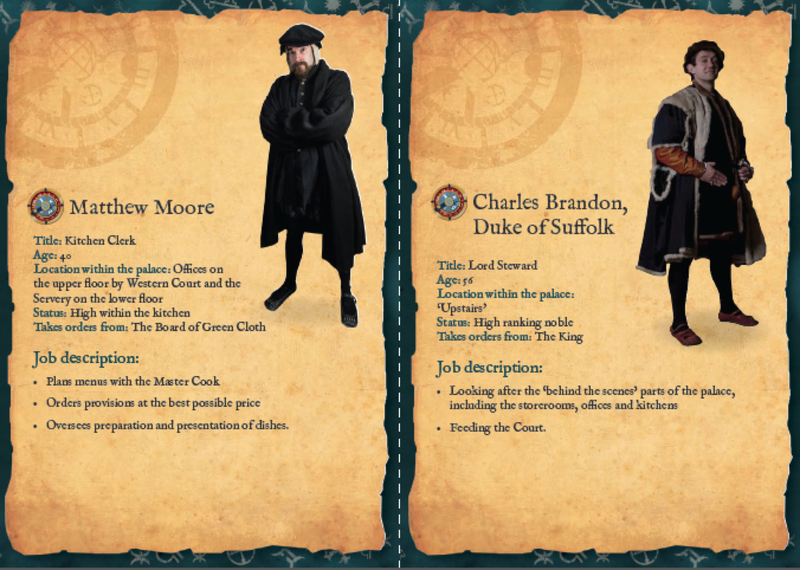 The Teacher’s Toolkit contains a lot of games, information (for example themed historic Tudor cook-along videos) and exercises of how to make pupils creatively think about how to make such a recipe.